I very nearly missed this month’s Sweet Adventures Blog Hop announcement on Twitter. I’ve been fairly preoccupied with our house building plans of late so tweeting and blogging had to take the back seat a bit this month. 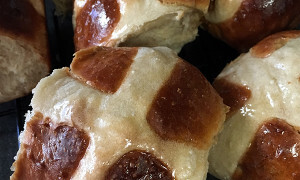 Nevertheless, I enjoy the blog hop very much (hosted by by Delicieux, The Hungry Australian, Dining With a Stud, The Capers of the Kitchen Crusader, and 84th & 3rd) so I didn’t need my arm twisted to put off tile selection to make a couple of treats this weekend. This month’s theme is ‘What’s Your Cup of Tea’. I immediately thought of using Japanese green tea (matcha) and baking but soon, other ideas came to mind. I hadn’t made candies for some time even though my darling hubby bought me a fabulous little copper based pot for Christmas last year. I’ve used it so far for making salted caramel (see my Salted Caramel Hot Cross Buns) and other toffees for cooking but not for something like fudge. Fudge is something else. In theory it should be easy to make but as I recounted in this post (For Fudge’s Sake!) a lot of things can wrong with fudge, particularly if you don’t keep on top of the crystallisation. There’s also a slew of recipes with each one differing in some minute way but causing the end result to be entirely different from another recipe. You can use marshmallow, marshmallow creme, condensed milk, evaporated milk, butter, or no butter. So why did I decide to make fudge other than to try out my copper pot? Well it’s so darn delicious! Plus, I had some fun flavours in mind. 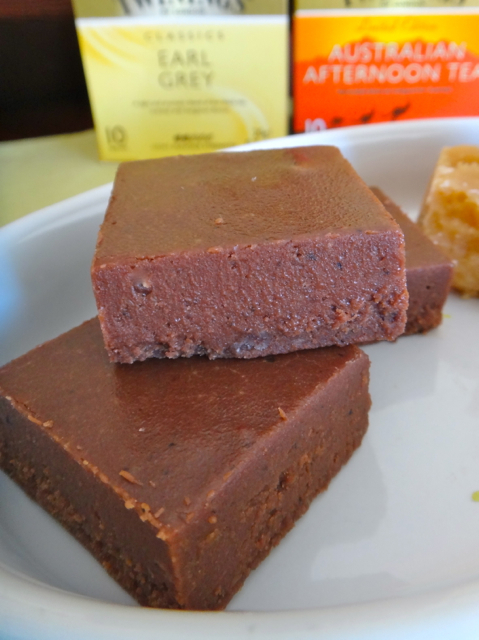 My first fudge is more like a Scottish tablet in texture and scented with black tea and lemon. It’s based on a recipe from my favourite candy book Who Wants Candy? and I’ve called it Lemon Tea Fudge. 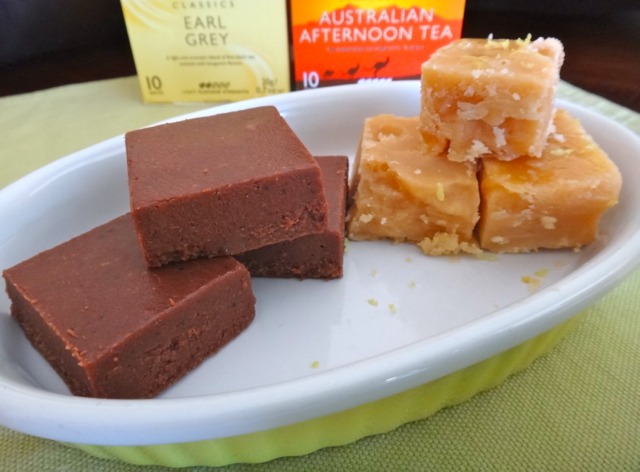 The tea is very obvious in this fudge and the lemon zest really makes it feel like you’re having a lemon tea in crumbly, sugary form. I also liked the subtle milky flavour that finished off the tea experience. My second fudge is a Dark Chocolate Early Grey Fudge. This flavour combo isn’t so unsual and crops up in recipes here and there but it certainly should be tried more often! Never mind dark chocolate with a hint of chilli or orange. Earl grey and dark chocolate is a beautiful marriage indeed. This fudge is a softer kind, based on a Not Quite Nigella original recipe. So there you have it. I avoided using the oven for a change and discovered that my lovely little copper pot heats up sugar beautifully! Thanks for another fun blog hop! To make: Place sugar, half-and-half, butter, 1 1/2 tsp lemon zest, lemon juice and tea water and cream of tartar into a good, heavy based saucepan and cook on medium/high heat until sugar dissolves and mixture begins to boil. Cover with lid and cook for a couple of minutes to prevent crystals forming (I find this much more easy and successful to do than brushing sides down with wet brush). Remove lid and cook on lower heat until candy thermometer reads 238F (soft ball stage). Remove from heat and allow to cool for 45 minutes to an hour. Beat fudge by hand until it thickens and loses gloss. 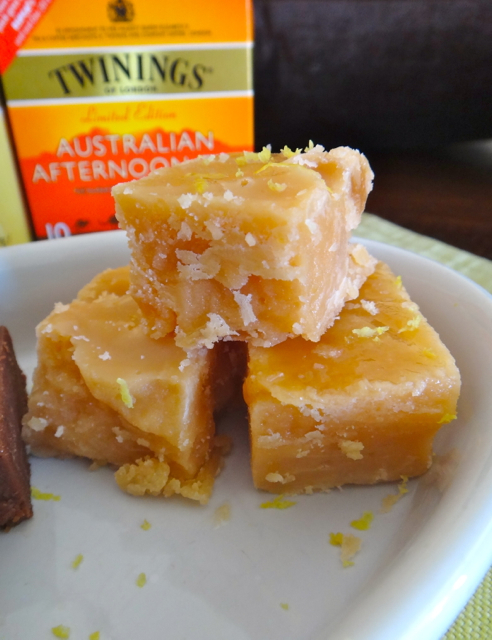 Transfer fudge to a small, lined pan, sprinkle with remaining lemon zest and allow to cool completely before cutting. To make: Line a small loaf tin with baking paper. In a large heavy based saucepan on low heat, dissolve sugar with cream and butter. Clip the sugar thermometer to the pan. Increase heat to just below medium and add tea water. Wait until the mixture reaches 238F/118°C (soft ball stage). Once temperature is reached, immediately stir in chocolate and marshmallows. Stir with wooden spoon to smooth out mixture and add small amount of Earl Grey tea leaves if desired. Immediately place in prepared tin and allow to cool. Cut into slices when cooled. Mmmm. Fudge. Mmmm. 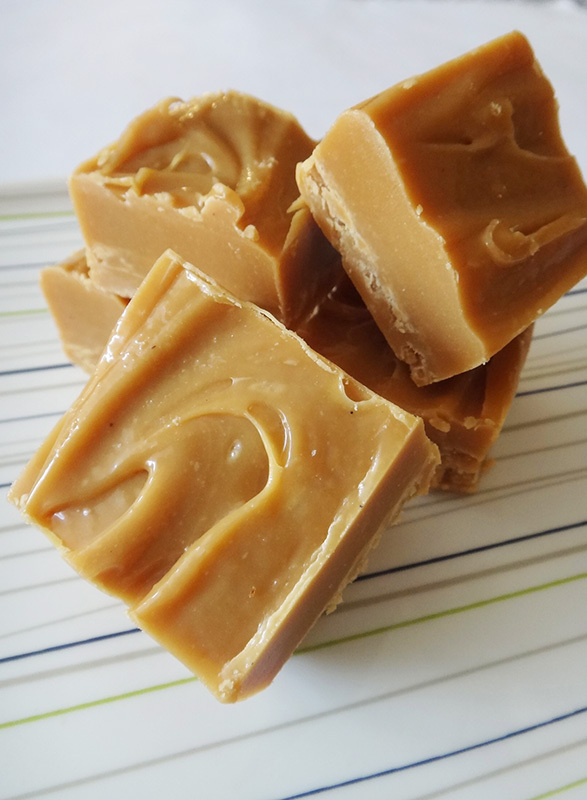 Tea Fudge. YUM!! 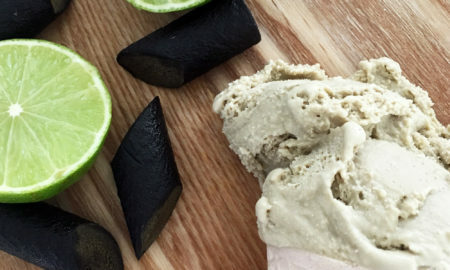 Gorgeous recipe :) I could eat fudge for days! How yummy… I must bookmark this page and make some for my (grown up) son! He loves fudge. I have so many fond memories of eating fudge made by my Grandmother growing up. I love your addition of tea, especially Earl Grey. Yum! Thank you :) I’m liking the dark chocolate/earl grey combo so looking forward to trying it out again some time. Yummy! Do you need a sugar thermometer for the Earl grey fudge? They both sound delicious but I’m drawn by the Earl grey I just don’t have the thermometer. I love fudge but have never attempted to make it. Thanks for the tips. Ooo looks good. Now I know what ‘half and half’s is. I didn’t know before. Hi Monica, your fudge looks too delish for words. Is there any substitute for half n half? Don’t think it’s sold where I am. I am drooling so much looking at this recipe, I need to try it. My previous attempt was a delicious disaster, I used the condense milk method but I don’t think I got it hot enough. Might be time to invest in a candy thermometer and give it another go. Oh my goodness! I am from Scotland and I just started salivating seeing your tablet! I’m definitely going to have to try it one day!